Not all probiotic sources are equal. Make sure you get a real, reliable dose of beneficial bacteria every time with USANA Probiotic. 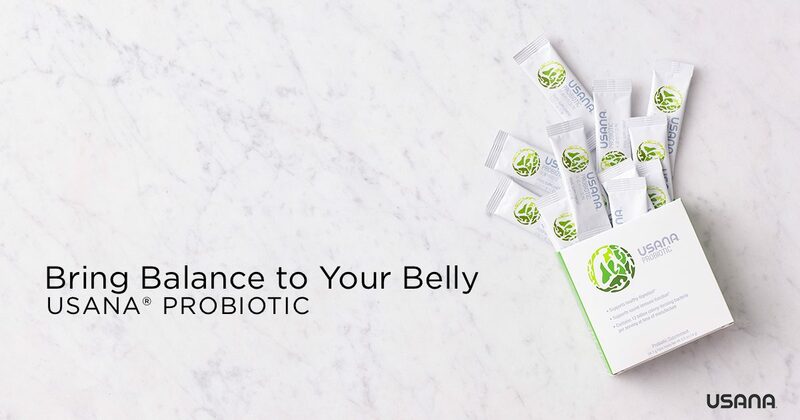 Each stick pack contains guaranteed levels of two of the most well-studied probiotic strains. So you can feel confident that you’re getting what you need. 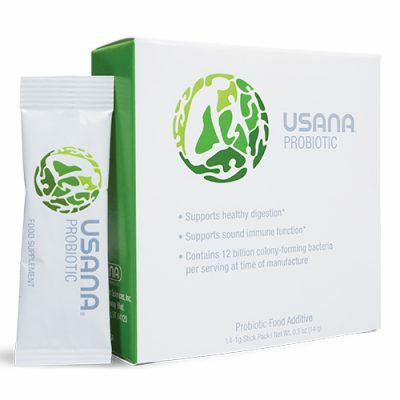 USANA Probiotic is a sugar-free, gluten-free, and dairy-free powder. And, it’s easy to use. The mildly sweet formula mixes with any cold food or beverage. Or you can just take it straight from the package. Your body’s functions are fueled by the food you eat. So, maintaining digestive health is an important factor in getting the nutrients you need. Because your digestive system is responsible for breaking down and absorbing all the nutrients from the food and supplements you consume. Digestion is a multi-step process. It begins in your mouth and ends when wastes are eliminated. Your gastrointestinal (GI) system is central to the process. It hosts trillions of bacteria—also known as microflora. Your body and its microflora adapted to form a mutually beneficial relationship. The bacteria help your digestive process function properly. The bacteria flourish because they feed on the by-products of digestion. This is why—out of your whole body—the highest amount of bacteria is found in your gut microbiome. Is it “microbiome” or “microbiota”? You may have heard the term “microbiome” and “microbiota” and wondered what the difference is. It’s generally acceptable to use the terms interchangeably, so we use “microbiome” here at Ask the Scientists. “Microbiome” is well-recognized throughout the scientific community and has become the preferred term. Likely because it’s the most comprehensive. Technically “microbiome” and “microbiota” are slightly different. In people, the microbiota is the whole community of microbe species found at a particular site on the human body. This includes fungi, bacteria, viruses, etc., that live in one place. In other words, you have a gut microbiota, a skin microbiota, a urinary tract microbiota, etc. The communities of microbes on your body are generally stable…but they’re also variable. Every site on your body has a different makeup. And it can fluctuate over time. The microbiome is all of the microbes in the microbiota plus their genes. The microbiome is vast. 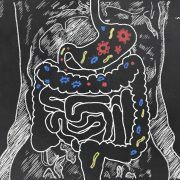 It has been estimated that there are 3.3 million unique genes in the human gut microbiome alone, compared to about 22,000 genes present in the entire human cell genome! Supporting the activity of enzymes that break down fats, carbohydrates, proteins, vitamins, minerals, and polyphenols into useable forms. Producing some nutrients—bacteria in the gut make vitamin K, biotin, and more. 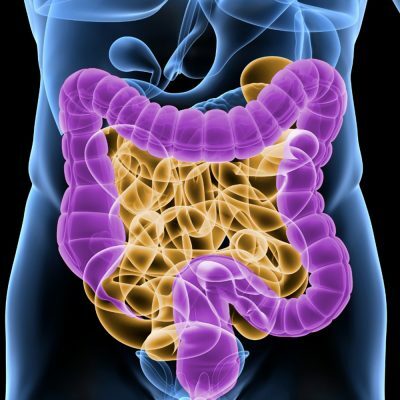 Helping to remove toxins and wastes from the body through the normal passage of stool through the colon. There are thousands of different species of bacteria in your digestive tract. They can be both beneficial or potentially harmful. Maintaining the right balance of the right bacteria for you is the key. The normal aging process also impacts the stability of your gut microbiome. Older adults may have differences in their gut caused by changes in their nutritional status and lifestyle. What does LGG and BB-12 mean? Lactobacillus LGG has been replicated from a human intestinal microbiota. It was discovered by Professors Gorbach and Goldin, giving name to the strain. BB-12 is a lactic-acid producing bacteria that comes from a proprietary dairy culture collection. When it was first classified, it was thought to belong to the species Bifidobacterium bifidum, which is where the “BB” came from. Though the classification has now changed to Bifidobacterium animalis subsp. lactis, the name has not. LGG is a registered trademark of Valio Ltd.
Generally, at least one billion Colony Forming Units (CFU) of total active bacteria are needed daily to provide probiotic effects throughout the GI tract. But most of the yogurts or other foods people rely on to get their beneficial bacteria contain an unspecified or unverified number of viable bacteria. So, if you’re relying on yogurts to replenish your beneficial bacteria, it certainly won’t hurt your health. But it might not really be helping it either. Stability can be a challenge with some strains of bacteria—even when refrigerated. So, their shelf-life is short. But USANA’s blend is designed to remain stable at room temperature (25° C) for 18 months. This stability has been verified in independent and in-house tests. And, you can preserve your probiotics even longer by storing them in the refrigerator (which is advised in hot or humid climates). 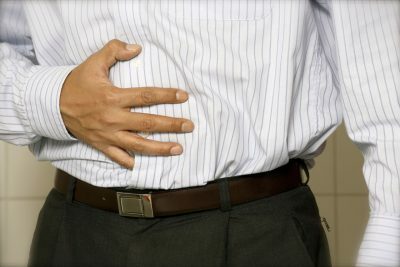 Occasional stress—from travel, hectic schedules, or other lifestyle disruptions—can also take a toll on your digestion and cause minor GI upsets. Keep out of reach of children. 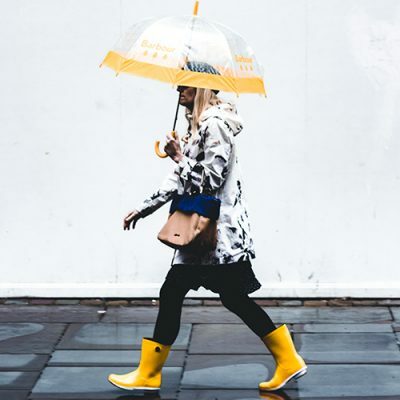 Consult your physician if you have an autoimmune disorder, are taking immunosuppressant medication, are pregnant or nursing, taking a prescription drug or have a medical condition. 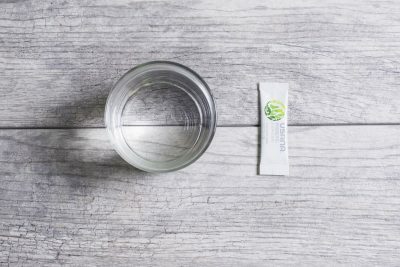 Can USANA Probiotic be mixed with any food or beverage? 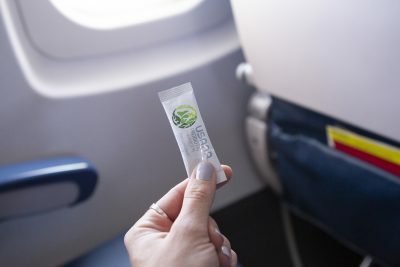 The most convenient way to take USANA Probiotic is consuming it straight from the stick pack. 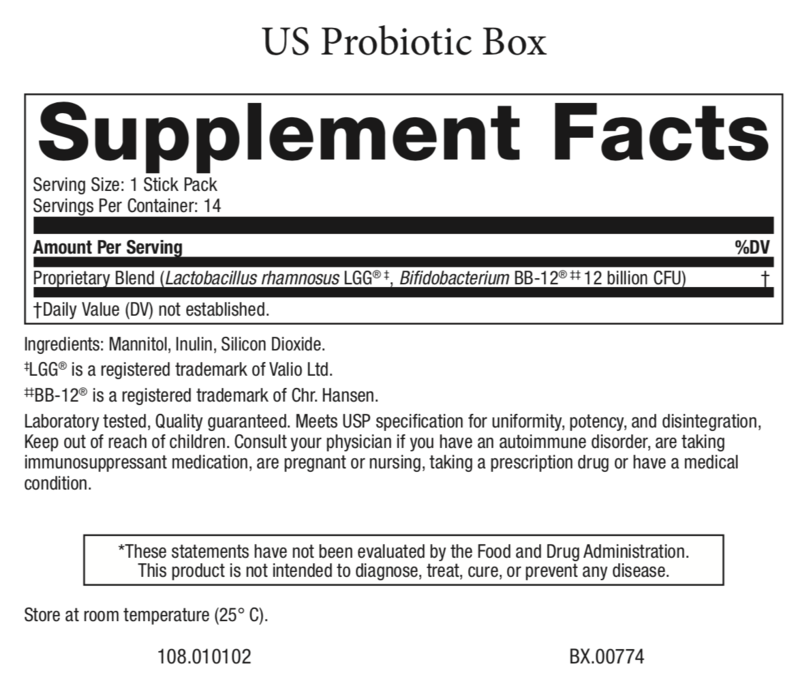 USANA Probiotic can be added to cold food and beverages. We do not recommend mixing it with boiling or hot liquids. High temperatures can reduce the effectiveness of the product. If you decide to mix USANA Probiotic into a separate food or beverage, please consume the mixture within a reasonable timeframe (less than 30 minutes or so). This will help minimize any potential loss of potency. Why does the USANA Probiotic powder vary in appearance? Please note that any variance in coloring is not a quality concern. There is no relationship between “pinking” and viability of the probiotic product. Color changes to the product may be promoted by elevated temperature and humidity, but please understand that changes occur even during ideal storage conditions. Again, any change in color is unrelated to changes in quality or effectiveness of the product. Can I give USANA Probiotic to my child or teen? While USANA Probiotic is labeled for use by healthy adults, there is some research that supports probiotic use in children. We recommend you discuss this with your child’s health care professional to determine if USANA Probiotic is appropriate for them. Can I use USANA Probiotic while pregnant or breastfeeding? USANA Probiotic is generally safe to use during pregnancy. And there is some research that shows benefits of probiotic use for a healthy pregnancy and for infant health during breastfeeding. * We recommend you discuss with your health care provider. 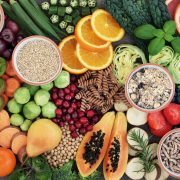 A great way to support a lush, diverse microbiome is to eat a variety of fiber-rich foods. You’re never alone. Your body is always crawling with trillions of microbial friends. That’s not a bad thing. All of them make up your microbiome. There are big differences between macronutrients and micronutrients. Learn how to tell your nutrients apart so you can design your diet. And discover the three types of macronutrients and micronutrients.